CCDP has secured funding for a new oral history project — ‘Get a Chinese’. The aim of the project is to record the experience of the older generation Chinese who migrated to the UK after 1950 and how they survived in an environment totally new and strange to them. If you would like to participate in this project as an interviewee or a volunteer researcher or if you require further information, please contact Project Coordinator Suzanne Chong. Thank you very much. 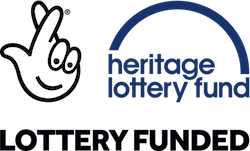 ‘Get a Chinese’ project is funded by Heritage Lottery Fund.